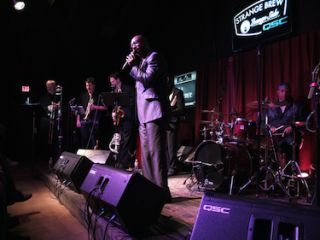 In a town known for its all-encompassing music scene and more than 250 live sound venues, Strange Brew, Lounge Side distinguishes itself with an eclectic calendar of acts. In recent years, Strange Brew has also scored big at the Austin Music Awards, an event that kicks off the South by Southwest Music Festival every year. With a dozen AMA awards under its belt including Best Live Music Venue, Best Acoustic Venue, Best Venue to Play, and this year’s award for Best Club Sound, Strange Brew recently added a number of K Series and KW Series loudspeakers to its all-QSC sound system. An insurance office in 2009, the building occupied by Strange Brew today was transformed by founder Scott Ward, a man with a background in construction who helped imbue the place with its hand-hewn, uniquely South Austin vibe. As part of the property’s evolution, the Strange Brew Lounge Side opened four years ago under the same roof as the coffee shop. With its high, arching ceilings, intimate atmosphere, and stellar acoustical qualities, the room has a capacity of 160. The newly upgraded house sound system on the Strange Brew, Lounge Side features a pair of KW Series loudspeakers flown left and right above the stage. A center fill hang residing between these two elements incorporates another single KW153 buttressed on each side by a K8 loudspeaker. Two KW181 subs extend the low frequency response of the rig, and as a final complement, a K10 loudspeaker is employed for sidefill. Stage monitors on the Lounge Side include four KW122s and a single KW152 for the drummer. Four K12s also stand at the ready, set to be employed on an as needed basis. Following a careful analysis of the room and the existing components, the QSC team created a new audio blueprint that increased the number of enclosures and drew a map of wider coverage bringing an even template of sound to every inch of the space. Headroom increased as well, with clean, transparent maximum peak levels of 134 dB becoming a reality. Along with improved dynamic range, the sound stopped Ward in his tracks when he heard it.